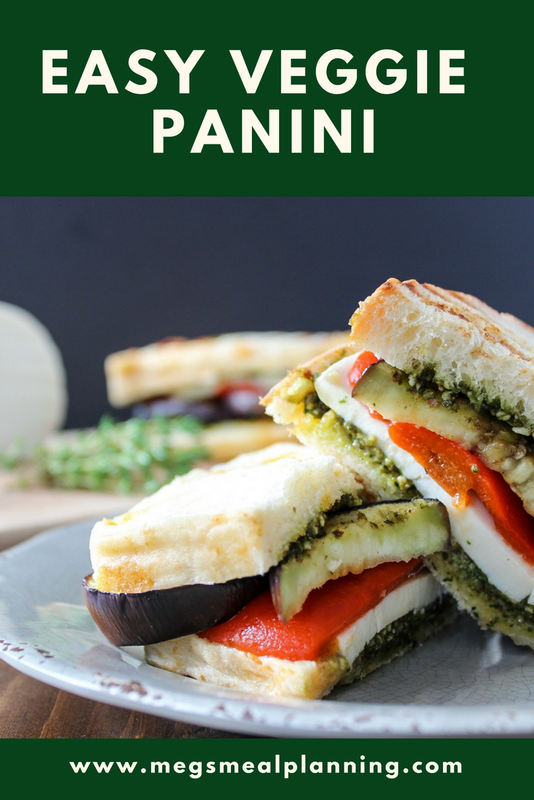 Veggie panini is a healthy and incredibly easy dinner recipe. Make the pesto in advance or use store bought and you have dinner ready in 15 minutes. Every now and then, I find a vegetarian recipe that I just love. This panini was exactly that. 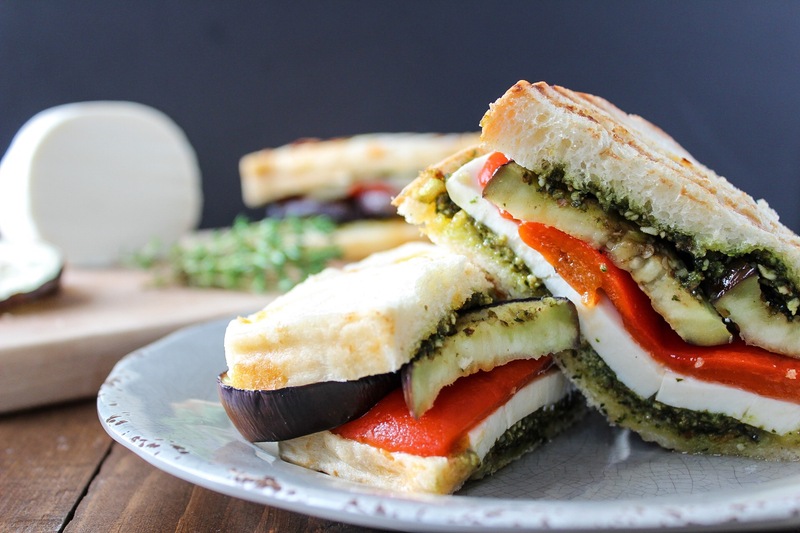 The warm, crunchy bread and melted mozzarella cheese tasted amazing with the homemade pesto, eggplant, and roasted red pepper. Click here for the pesto recipe. Pair it with a glass of red wine and enjoy your carefree dinner! Grill eggplant slices (use only enough for the panini) on a panini press or George Foreman grill, 4 minutes per side. Meanwhile, spread pesto onto both sides of bread. Remove eggplant from grill and place on bread. Layer with fresh mozzarella and roasted red peppers. Place made panini on the grill and cook 2-3 minutes. This a great lunch idea for those who want a nutritious and easy to make option. Thanks for sharing this veggie panini recipe. Thank you Karl. Perfect for lunch or dinner!